Fiorazzurro is an island off the coast of Italy that is full of magic...or, at least, it used to be. The new Queen has banned the use of all magic and has relocated the primary fae colony to the eastern shores. Princess Ata'laika Margherita Fae has had enough, and is about ready to take her island back. Meanwhile, a young potions master is selling his wares (undercover) at the traders' market. A 'space cowboy' and his android have finally exited the shadows. And a dancer from Russia has arrived with her own vendetta... 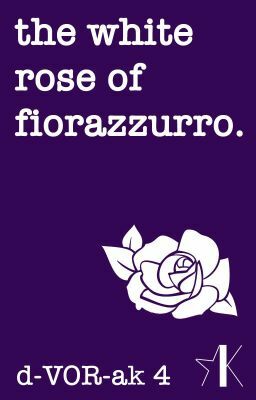 While 'The White Rose of Fiorazzurro' is part of the Dvorak series, it is also readable as a standalone, so feel free to jump right in!